The science of Instagram has always been all about engagement. You have two-tenths of a second to make an impression. Any blogger, photographer or public figure, will tell you the number 1 rule is creating a powerful profile: a killer profile picture, Easy-to-Find Profile Name, Informational Bio and the most important, an AMAZING cover story that visually tells itself. People come to Instagram for visual content. 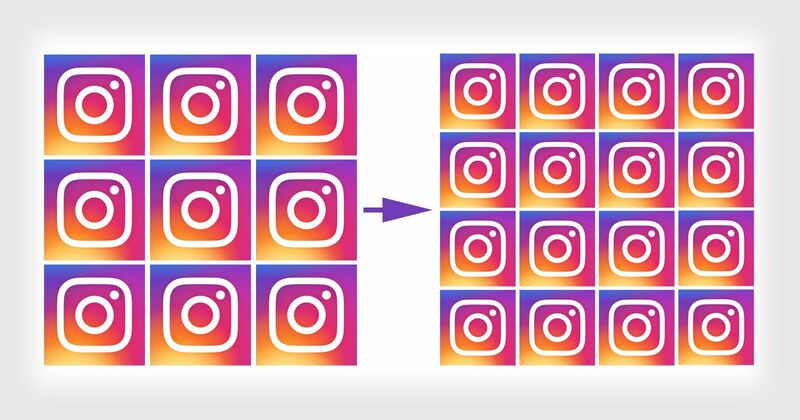 For such users who have meticulously, creatively and timely curated their photos on Instagram, they have been disturbed by the news that Instagram may be changing from a 3×3 layout to 4×4. People have spent years perfecting their feeds, the new update means everyone’s jigsaw puzzle will be falling out of place. Instagram is more than a social media platform. Think of it like it’s a giant networking event. Because really, that is what it is. PR companies and sponsors target these creatives for their high engagement on Instagram, what a new layout would mean is starting afresh to organize a new feed. But Instagramers are not having it and they’ve descended on Instagram via twitter with plea masked in threats. Thoughts and prayers to the people who curated their instagram based on the three column grid. Chill out about the #instagram grid. I'm willing to bet you'll be given the option to switch between 3×3 and 4×4. Instagram adding a 4th row to its grid is just proof that everything is meaningless and nothing matters. Instagram, however, hasn’t officially provided details on why the change is taking place. Last year, the platform introduced a string of new updates including live stories and restructured timelines. Regardless of user backlash, a four-set grid style could be a pre-emptive new update in the works, and like all major social media updates—as we have seen with Twitter and Facebook—we will all eventually get used to it and move on with our daily duty of stunting on the gram.